我的爸爸是工人，My Dad is a worker. 我的媽媽是醫生。My Mom is a doctor. 他的爸爸是老師。His Dad is a teacher. 他的媽媽是護士。His Mom is a nurse. 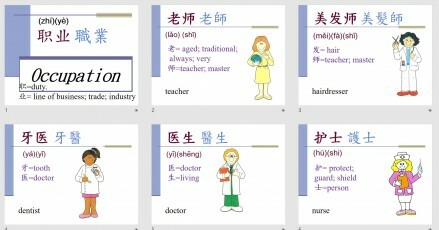 我和妹妹是學生。My little sister and I are students.